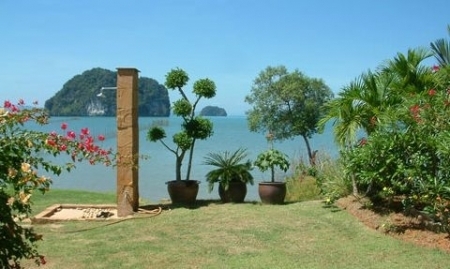 Tha Lane Bay Villa is a unique Thailand rental villa, a private holiday home, situated in Krabi, south of Thailand, facing the Andaman Sea. 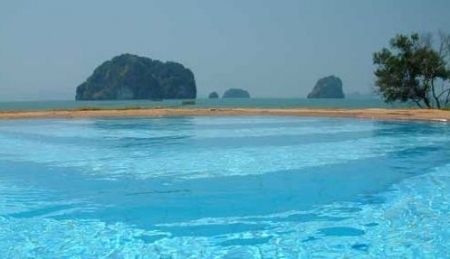 Staying in Tha Lane Bay Villa means to get pleasure from a Thai life style in a private beach front pool villa with hotel and restaurant comfort. 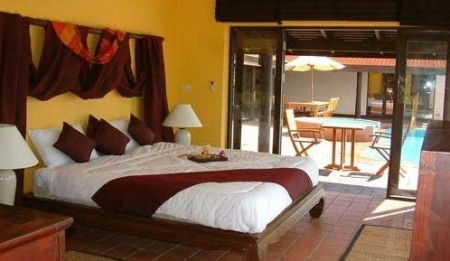 Tha Lane Bay Villa is one of 4 villas developed in modern Thai style. Enjoying a 45 meter sea frontage, the property is situated just 15 meters from the ocean with a large garden and private swimming pool. 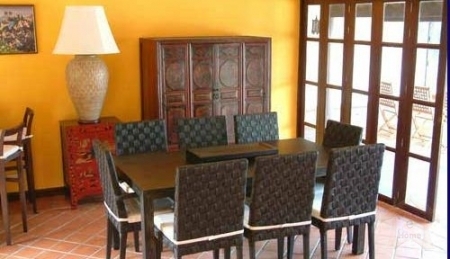 The combined living dining room and all four bedrooms have views across the swimming pool to the ocean. 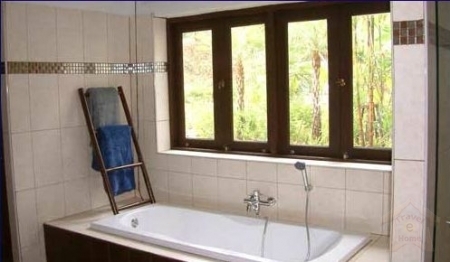 All the bedrooms are air conditioned and have big en suite bathrooms. 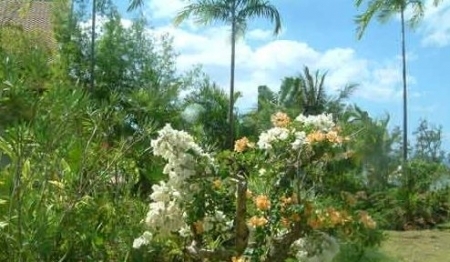 You can enjoy pleasantly the villa with eight guests. The Villa is completely served. 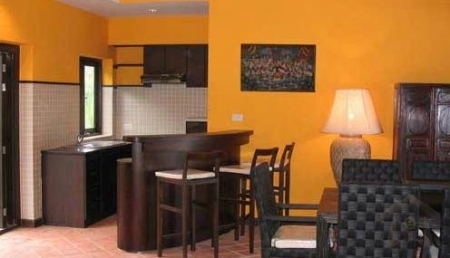 Enjoy cooking in the completely equipped kitchen. The kitchen is nicely appointed with dishwasher, microwave, freeze, utensils. 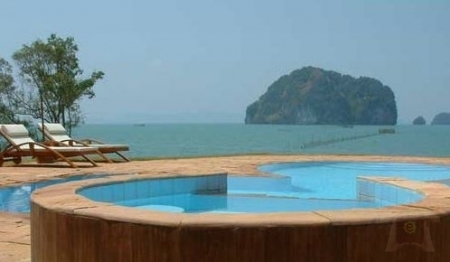 The Lane Bay Villa is just steps from Beachfront, Koh Hong, Chicken Island, James Bond Island, Koh Phi Phi, Koh Lanta. 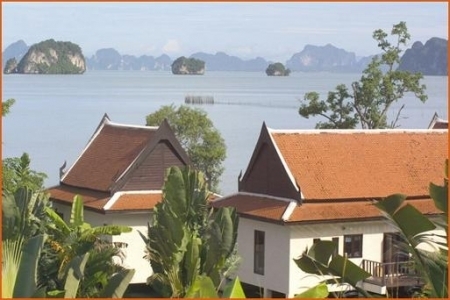 The vacation rental rates are THB12700 per night. You will receive reservation confirmation and only one invoice within 3 days confirming dates, price and description of the reserved property. If the balance is not paid on time, we reserve the right to cancel your reservation. Damage deposit: A damage deposit is requested on the client's arrival, by credit card print as a guaranty. The Local key holder is not obliged to hand the keys over until the damage deposit has been paid. The deposit will be refunded on departure directly by the local key holder after deduction of any.